Looking for things to do in the Keys? The new monthly Bayside Block Party in Key Largo is a must-attend event. The Florida Keys are full of attractions and events, but none are quite like this block party. With local artists, craft vendors, delicious food, and free admission, it is hard to beat! The Keys can be overwhelming in that they have so much to offer, especially on a Friday night. The exquisite cuisine, the beaches and sunsets, the nightlife, there is a lot to choose from. But, if you are near Tavernier or Islamorada and are looking for fun on the first Friday of the month then this block party has you covered. The only thing better than the breathtaking location of the party is the party itself. Tasty local food from restaurants like Señor Frijoles, Sundowners, Jimmy Johnson’s Big Chill, and the World Famous Caribbean Club will surely make for a nice Friday night dinner. The Florida Keys Bayside Block party is located right near the stunning, Mangrove Marina as well. 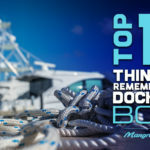 If you ask Tavernier and Islamorada locals about things to do in the keys, Mangrove Marina will be one of the first things out of their mouth due to its unforgettable allure. You can make an unforgettable night out of the block party by renting one of the beautiful houseboats made available by Mangrove Marina. Take a stroll around Mangrove Marina before or after the block party to see all of the unique boats and the picture worthy views. The marina is a destination spot in and of itself, so you’re not going to want to pass it up if you’re in the area for the party. Local culture is something you don’t want to miss out on when traveling either, especially if you are in the Keys. You can spend days embarking on journeys around Tavernier and Islamorada going to locally owned shops that sell different pieces of art, gifts, clothes, and souvenirs. You can dive into the restaurant scene around town and eat like the locals as well. It is an experience you don’t want to miss out on. Luckily, if you attend the First Friday Block Party the culture comes to you. You can be enjoying the local cuisine while conversing with local shop owners and browsing their unique offerings on the lovely bayside bike path where the block party is held. If you’re heading to the block party you can park at any of the bayside businesses and the party is down the bayside bike path at Mile Marker 104. As far as Mangrove Marina, it’s right down the road off of Overseas Highway. Admission to the First Friday Bayside Block Party is free.